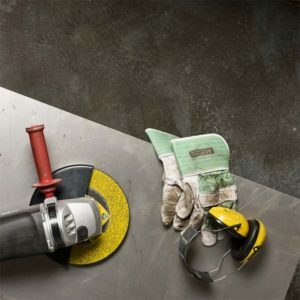 Get the highest efficiency and performance out of your bonded abrasives by keeping in mind these factors, and how they play out in achieving the best results. If the RPM of the machine is too low, the cutting-off wheel and grinding disc tend to “jump”, and the disc edges wear down unevenly. 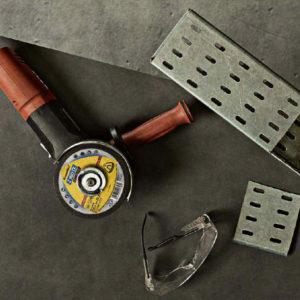 Particularly with thin material cross sections, such as cutting tin or wire, this causes the grit to be separated from the bond and the disc wear speed is above average. 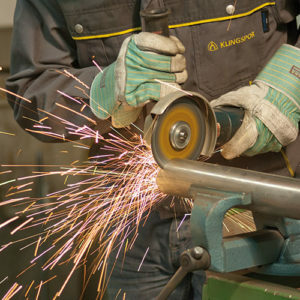 Klingspor cutting-off wheels and grinding discs are high performance products and were developed such that best disc performance (measured according the stock removal volume to disc wear ratio) is achieved in the range right below the maximum peripheral speed. Keep the machine running at a consistently high RPM and, if needed, select a more powerful machine. The maximum RPM and peripheral speed is printed on the label of each disc. For your own safety, please be sure not to exceed the recommended speeds when grinding. 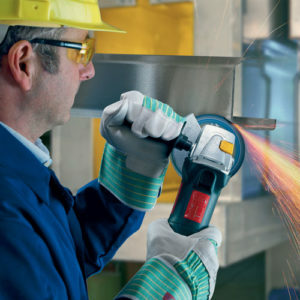 An important requirement for a satisfactory cutting result is the correct grinding pressure. A common mistake is to reduce the grinding pressure to preserve the disc and extend the cutting life of the wheel. If this is done, the material overheats (turns blue); the cutting-off wheel becomes clogged and “burns up”. This is why the grinding pressure should always be set such that the cutting time is as short as possible. This is particularly true for heat sensitive material with large material cross-sections. Generally, the rule of thumb when selecting the correct cutting-off wheel is: the harder the material, the so er the abrasive bond. The reason: the service life of a cutting-off wheel is dependent on whether the cutting surface of the workpiece hardens or not. Overheating results in the disc “glazing” and the cutting properties are negatively affected. In this case, the hardness of the bond should be decreased and a softer cutting-off wheel should be used. The rule of thumb also applies to grinding discs: the harder the material, the softer the grinding disc bond. In addition, the application plays a decisive role. 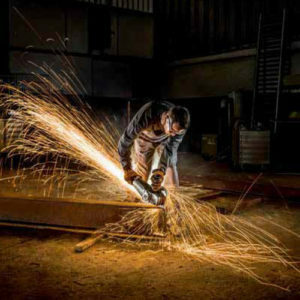 Corner grinding and the grinding of burrs and sharp edges can cause grit to be removed from the bond. We suggest the selection of a hard bond. On the other hand, when working on surfaces or small weld seams a disc that is too hard would become dull and would no longer be effective. It would have a good service life, but would also have a low stock removal rate and high work costs. A medium or so disc bond would be best for finish grinding. Pressure may only be placed on the cutting-off wheel from a radial direction. This is the only way to avoid wobbling, buckling and disc breakage, especially when applying a high level of cutting pressure. The workpiece that is to be cut-off should be properly affixed to the workbench to ensure that the disc does not slide off to the side. In addition, we recommend that the material is affixed as close to the cutting site as possible to ensure that it does not vibrate, flutter or slip to the side. Grinding discs work best at 35 degree angle to the workpiece. This angle provides the best stock removal to disc wear ratio. If possible, always select this angle. When grinding and the angle is below 15° a very thin edge which levels off is formed around the circumference of the disc. Even minimal changes to the angle can result in a situation in which the grinding pressure can no longer be absorbed resulting in the grinding disc slipping to the side. Valuable grit is not used and an imbalance is created that results in having to replace the disc prematurely. Cutting-off wheels and grinding discs are mounted to the machine with side flanges. The flange elements are responsible for transferring power to the disc. 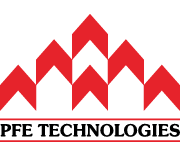 For reasons of safety it is extremely important that defective or incorrect flanges are not used. The use of wheel flange FL 76 provides increased lateral stability and user control, specifically when using thin cutting-off wheels with a flat form and diameter of 180 mm and 230 mm. The applicable regulations and standards must be complied with when using the wheel flange. The contact surface and diameter of the wheel flange must match. Using wheel flanges with diameters that do not match is prohibited. The information in this page is extracted from the Klingspor Catalogue, provided by Klingspor AG. A copy of this catalogue may be found here. The information is on page 215 – 217. Text is copyright Klingspor AG, 2015.